We don’t use piercing guns for several reason. 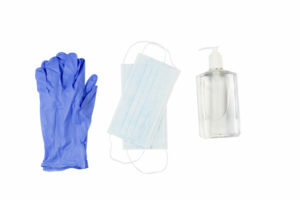 The first and most important is that they can be a source of infection transmission. Piercing guns get a certain amount of blood and other body fluids on them during a piercing. As they are generally made of plastic they cannot be sterilized since they would melt. Also, all the nooks & crannies around the mechanism have a tendency to trap blood/fluids where they can’t physically be reached to decontaminate. This is same reasoning for our tool-less procedures – only new is good enough to ensure safety. In an age of drug resistant bacteria, HIV, and hepatitis this is an unnecessary and uncalled for risk. 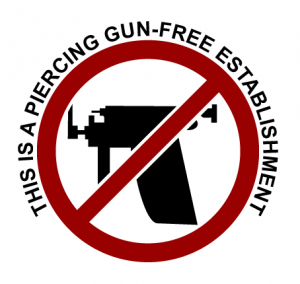 Another issue is that piercings performed with piercing guns are in no way gentle. They rely on brute force to get jewelry that is not very sharp through the skin. This causes a significant amount more trauma than piercings done with piercing sharps, especially for piercings other than earlobe. 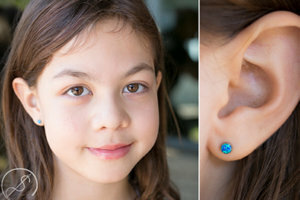 Also, the jewelry used by piercing guns tends to be “one-size-fits-all” and doesn’t allow for different length posts for people with different size earlobes. Just as this doesn’t work well for clothing, it doesn’t work well for body jewelry. 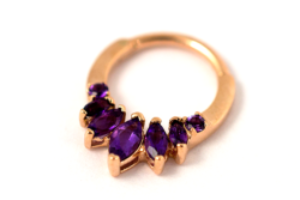 The butterfly clasp on the back of the jewelry tends to harbor dirt, debris and bacteria. It’s also very, very rare to find ear gun studs that are made of implant-grade materials. For all these reasons we don’t use piercing guns and feel they are never appropriate. The APP also prohibits piercing guns use for its members.